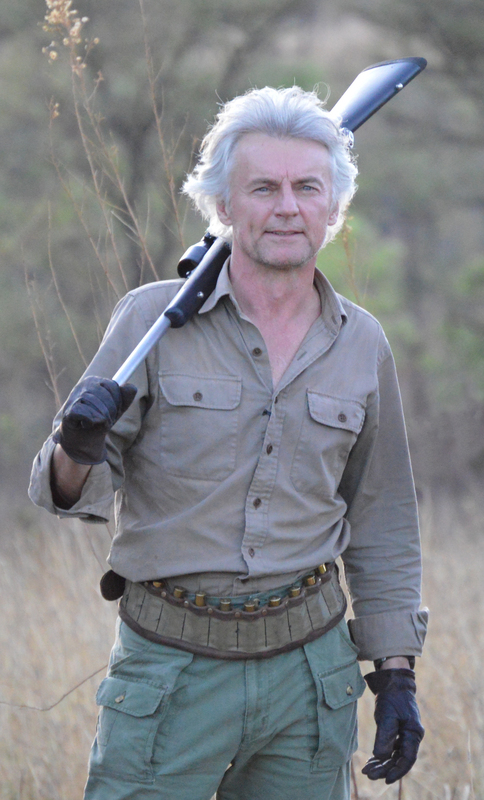 J. Alain Smith is a hunter/writer/musician/adventurer whose success has allowed him to explore all points of the globe in search of hunting thrills. He has collected over 350 different species from around the world including the World Slams of Sheep and Goats, North American Grand Slam of Sheep and the African Big Five. The book became Close Calls and Hunting Adventures and is a limited signed and numbered edition of 1,000 copies as well as a non-numbered trade edition. Sold Out. Following up on the tremendous response to Close Calls and Hunting Adventures, Alain wrote Hunting New Horizons a new collection of short stories of hunting and adventures from the far corners of the world. There is a special limited edition of 500 numbered and signed copies of Hunting New Horizons or the standard trade edition available. Adventures in the Wild Places is the third book in Alain’s hunting series, a conglomeration of new tales from Pakistan’s highest peaks, slogging thru African swamps and chasing wild rams in the Himalayas of Nepal. A book packed with adventure and humor that you won’t be able to put down. It’s Not a Game Anymore is an exciting fictional novel set in the Central African Republic. Businessman Matt Simmons takes his young beautiful wife on her first safari, only to have their dream trip interrupted by poachers, turned kidnappers. Matt has to reach into the depths of his resolve and courage as he attempts to get her back by any means possible. The Game’s Not Over is J. Alain Smith’s sequel to his first novel, It’s Not a Game Anymore. Follow Matt Simmons back to the border region of Central Africa and Sudan, where he seeks out answers on the death of his young wife, only to find that she isn’t dead, but being held as a slave by the Janjaweed rebel, Rashid. Matt’s found her and now he has to use every trick he has up his sleeve to spirit them to safety hundreds of miles away over a vast battle torn wasteland, while Rashid and his Chinese partners seek revenge for the humiliation of losing their prize possession. Revenge is the Game is the third novel in the Matt Simmons adventure series. Matt Simmons is back in this thrilling tale of adventure set among the luxurious estates of Europe and the Balkans. When a business holiday in the rolling countryside of Hungary turns into an attempt on the lives of Matt and the beautiful Countess Atwood, he is forced into seeking revenge, especially when the Bosnian assassins make a second attempt at killing him. Join Matt while he tries to break up their drug-smuggling and human-trafficking ring, risking the lives of those around him in an all-out effort to make the guilty pay. All proceeds from the books, 100% of the sale price, go directly to conservation programs such as Safari Club International, OVIS/GSC and the SCI Foundation. Even the cost of the printing is a donation from Alain. Over $155,000.00 has been raised from book sales so far. Check Out His Show! Check Out His Books!